What pet owner hasn’t worried once or twice that their beloved pet had developed fleas? Worse yet, how many have worried that the fleas had spread to other parts of the house? Luckily, there are numerous organic flea control remedies that can both keep fleas from infesting your home and can get rid of them once a pet has been infested. 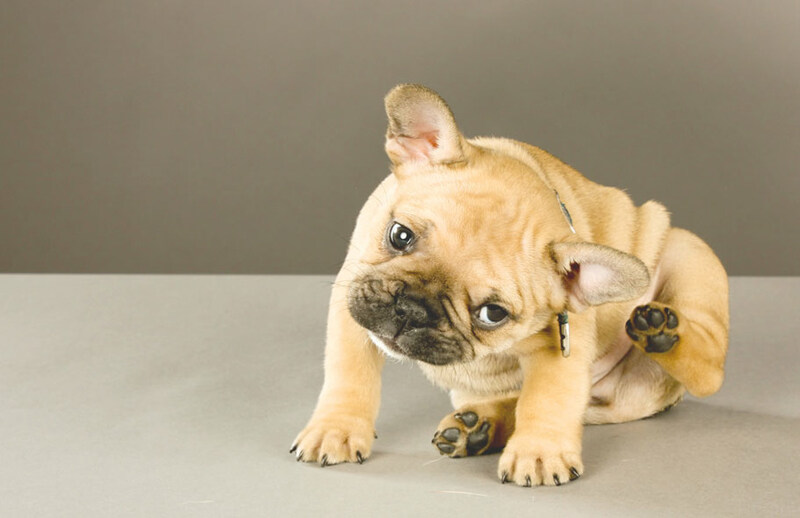 Those with pets need to know that for every flea they find on their pet, there can be more than thirty more fleas somewhere in that pet’s environment. Your pet can get fleas from being outdoors or can get fleas through contact with a visitor’s pet. This is why its important to learn all about the organic flea repellent remedies available that will be both safe and effective on your pet. Make sure you give your pet a bath and comb your pet on a regular basis. Pets that already have fleas should be combed witha comb that’s been dipped in a glass of soapy water. Organic repellents and deterrents include the use of citrus products.For example, you can pour a cup of boiling water over an entire sliced lemon, including the skin. Score the skin to release more citrus oil. Let the mixture soak and sponge it on the animal. Believe it or not, it will kill fleas immediately. Another organic pest control remedy involves using Brewer’s yeast and garlic, or apple cider vinegar in small amounts to thepet’s food. This will repel fleas quite nicely. Cats, however, shouldn’t consume garlic. Topical organic remedies include cedar-based shampoo, cedar oil and sleeping mats that contain cedar chips. Fleas do not like cedar of any kind and will be repelled from areas where you put it. Other insects are repelled by organic cedar products as well. In the horrible event that you find you’ve got fleas in your carpeting, you should first vacuum the entire carpet, paying special attention to low traffic areas. Seal the vacuum bag and get it out of thereAnother organic method for getting rid of fleas is to obtain a wide, shallow pan, like a cake pan, and fill it half-full with soapy water. Place the pan on the floor and shine a light over the area. The fleas will jump up to the heat of the lamp and will land in the water and, because the water is soapy, the fleas will simply drown. Do this for a few nights and it will make a big difference. If you’re desperate for a long-lasting organic and safe method of flea control in a room, purchase a nontoxic flea trap. and heat from the device attracts fleas on a permanent basis from as far away as 25 feet. The fleas jump up, fall through the grid and stick onto the sticky pad. The sticky pad is easily replaceable when it is used up. the fleas don’t reach adulthood. That way, your pets won’t be bringing in fleas from your yard. Flea control doesn’t have to be complicated nor does it have to involve the use of toxic chemicals. Your pets don’t deserve the toxicity and neither do you.